When considering your color goals, think in baby steps. Going too light or dark at once can result in funky shades or hot roots. Instead, transition in half-shade increments so you can evaluate and adjust as you go. The tools you use can make or break an at-home color application. 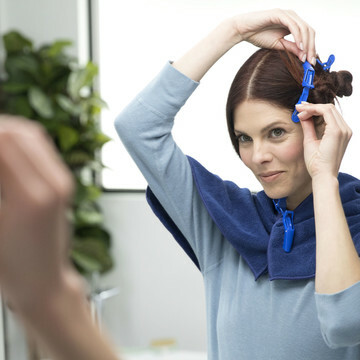 Take yours to the next level with a bowl and brush, which will allow for a controlled and even distribution of dye. You’ve got this. Leave no strand unsaturated! Achieve full coverage cleanly and efficiently by sectioning hair into four quadrants, and working in ½-inch subsections within each. You’ll be setting that timer before you know it. 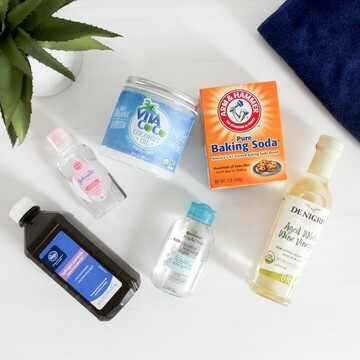 Keep dye in line with an easy-to-remove barrier like Stain Guard or petroleum jelly on the hairline and ear tops—just make sure to avoid the strands themselves. If any color does make its way to the skin, it’s easy to lift with a little press of the Stain Remover Towelette. Gray hair is more resistant to color deposit, so it’s best to start application in your grayest areas. Once you’ve finished all the other sections, you can go back and reapply to the gray. This ensures extensive exposure in the areas that need it most. Applying dye over previously colored hair can cause over-processed, over-darkened, or uneven results. Not to mention bright, hot roots that don’t match your ends. 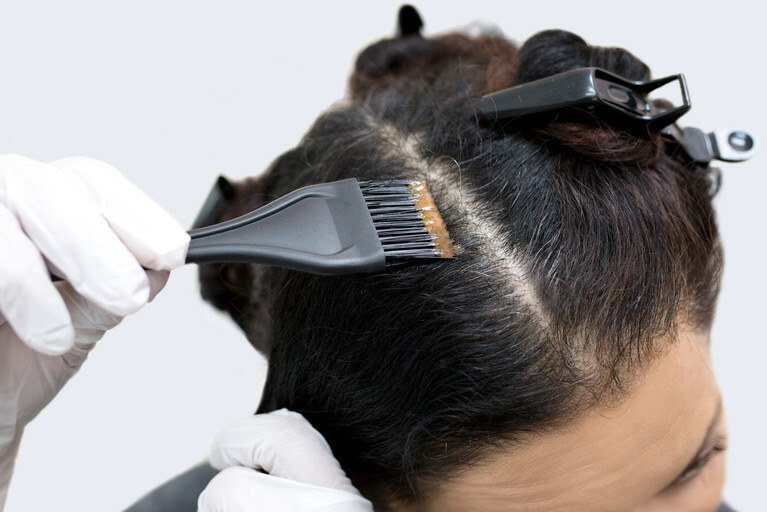 So keep touch-up applications strictly to regrowth, and avoid overlapping. Processing time can majorly affect your color outcome. To achieve the color and coverage you want, make sure to leave the dye on your hair for the full recommended time. Follow your personalized instructions to a T, and say hello to your optimal color deposit. Once you’ve rinsed out your color, get an all-over refresh—plus an added dose of shine!—by massaging any unused dye mixture through your hair. After 3-5 minutes, rinse again ‘til the water runs clear. #ShineCentral, here you come. Get your color journey off to a healthy start with an immediate shampoo and condition. Cleansing will help maintain scalp health and remove any residual color, while conditioner will close the cuticle and add moisture. In the end, the absolute key to a successful coloring is the color itself, and whether it fits you. 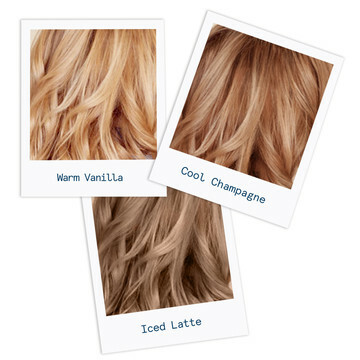 eSalon offers both custom and quality by crafting a color specifically for your hair. We blend it fresh, send it on your schedule, and include the tools and instructions you need to apply like a total pro. It’s hello gorgeous, guaranteed. You’ve got all our secrets now—go forth and color with confidence! New to eSalon? Let us craft a color just for you.